To put things into easy to understand terms, medical aid is a kind of health insurance in which the scheme covers the costs of any sort of medical needs. Regardless of the kind of medical attention you need, you can go to your doctor or to the hospital and your medical aid should be capable of paying most of the charges, or possibly even all of the charges. Normally, the medical aid will pay the money directly to the practitioner or hospital for the medical expenses you need as long as the doctor in contracted with that medical aid plan. You have to keep in mind though, medical aid schemes are not to be confused with hospital insurance plans that the majority of insurance companies have available. These two things are far from the same thing. Hospital plans actually reimburse you at a rate that is set for each day of hospital care. The payments are supposed to help with daily expenses you have when you are incapable of working due to hospitalization. 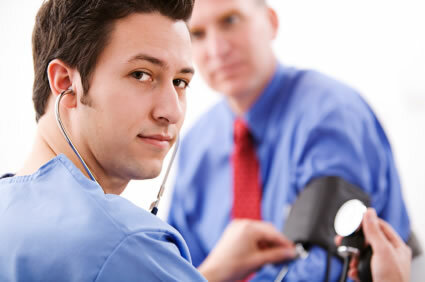 Therefore, they do not offer the same kind of protection as the protection from medical aid. However, each medical aid plan have differences from one another. They hold different benefits so it's a wise decision to research and pick the right medical plan for you and your family. The market of South Africa is flooded with a plethora of providers of medical aid plans, so you will have plenty of options to choose from. The good news is that most medical aid plans share three common benefits; out of hospital, in-hospital benefits, and chronic benefits. So with everything in mind, you need to also make sure you approach the specifics of a medical aid plan and keep them in mind. For example, some medical aid plans only pay for certain doctors and hospitals. Would you want one that will allow any doctor or are you willing to compromise for a more affordable rate? Although, it can also be a hassle depending on where that doctor is. With everything considered, medical aid schemes will help you make it through any sort of hospital trip, and you and your family can really benefit with the right medical aid plan. Do your research, look into many different plans, and then pick a plan that will not only benefit you and your needs, but also the needs of your family. That way, on your next trip to the doctor, you and your bills will be covered.